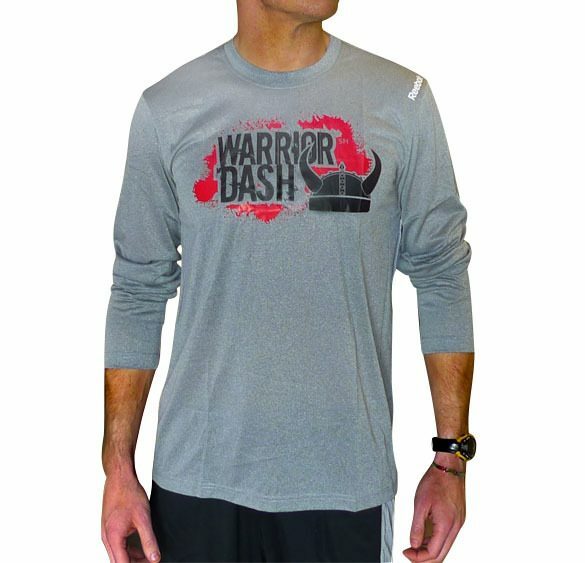 Reebok PlayDry Moisture Wicking Long Sleeve Tshirt - Warrior Dash Edition Only $6 Plus FREE Shipping! You are here: Home / Great Deals / Reebok PlayDry Moisture Wicking Long Sleeve Tshirt – Warrior Dash Edition Only $6 Plus FREE Shipping! Reebok PlayDry Moisture Wicking Long Sleeve Tshirt – Warrior Dash Edition Only $6 Plus FREE Shipping! This Reebok Workout Ready Long Sleeve Tech Top is comfortable for any season! The Reebok PlayDry Moisture Wicking Long Sleeve Tshirt – Warrior Dash Edition forOnly $6 Plus FREE Shipping features a Regular fit that is relaxed, but not sloppy, and perfect for workouts or everyday activities!